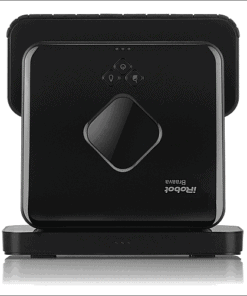 Featuring a longer-lasting battery, Turbo Charge Cradle, cube-to-cube navigation and the Pro-Clean System, the new iRobot Braava 380t is able to mop larger or multiple rooms in a single cleaning cycle. Braava 380t dry and damp mops floors for you. 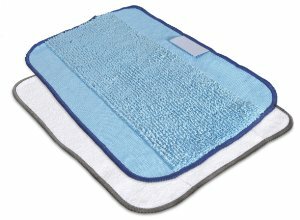 With the Pro-Clean System, a special Reservoir Cleaning Pad dispenses liquid throughout the cleaning cycle to keep the cloth damp. Dry Mop Mode: Moves in straight lines back and forth to efficiently and thoroughly pick up dust, dirt and hair. Mop Mode: Uses a special back-and-forth mopping action and damp cleaning cloths to pull deeper dirt and grime off your floors. Disposable Or Microfiber Cleaning Cloths: Works with either disposable cleaning cloths or our reusable microfiber cloths. Pro-Clean System Cleaning Solutions: Fibers on the reusable Pro-Clean cloth attract and trap dirt, oils and grime from the floor, so you can clean effectively using just water or mild cleaning solutions. 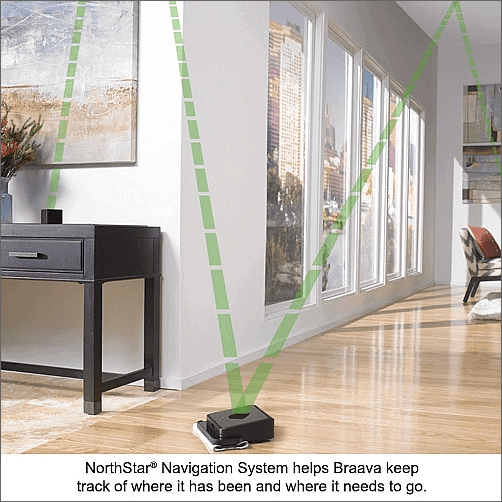 Braava 380t’s NorthStar® Navigation System helps the robot keep track of where it has been and where it needs to go. 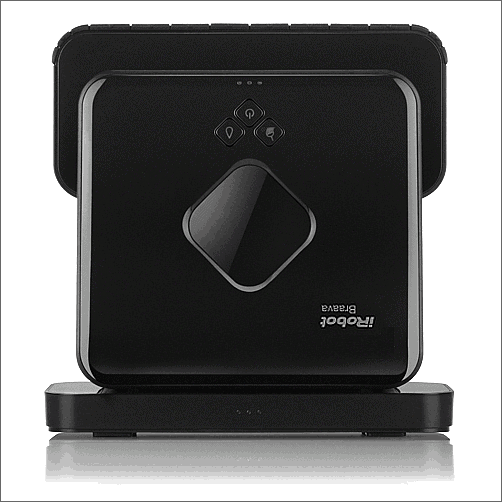 In a single cleaning cycle, Braava 380t dry mops up to 1,000 square feet and damp mops up to 350 square feet. 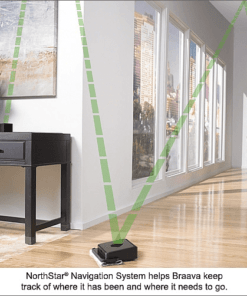 Cube-To-Cube Navigation: For bigger homes, additional NorthStar Navigation Cubes can be purchased to expand the robot’s dry mopping capabilities up to 2,000 square feet in a single cycle. 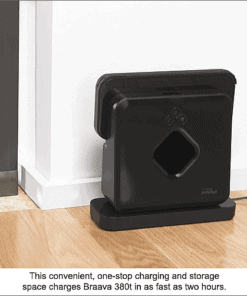 Compact Size: Braava can clean under sofas and tables and get into tight areas. Smart Sensors: Sensors help Braava avoid stairs, area rugs and raised transitions to carpets. 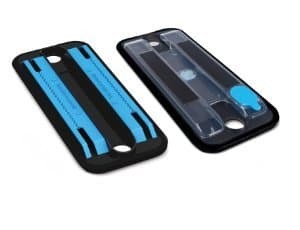 Just attach a cleaning cloth to the removable magnetic cleaning pad, set Braava down and press either the Sweep button for dry mopping or the Mop button for damp mopping. When using the Pro-Clean System, the detachable Reservoir Pad fills and empties easily over the sink. 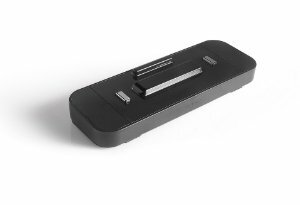 Longer-Lasting 2000 mAh NiMH Rechargeable Battery: Cleans for up to four hours dry mopping or two and a half hours damp mopping on a single charge. 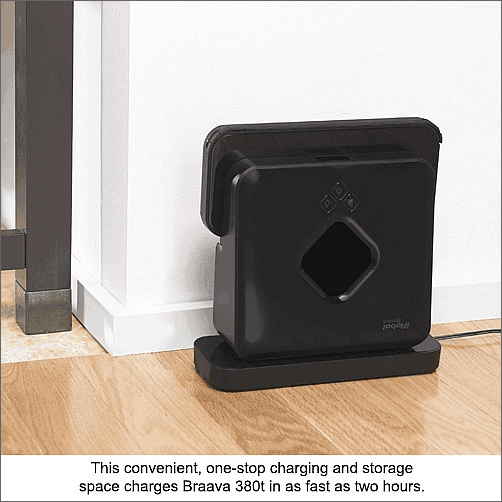 Turbo Charge Cradle: Charges Braava 380t in as fast as two hours, providing convenient storage space. 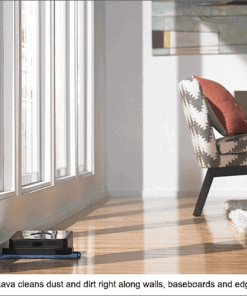 Whisper-Quiet: Braava cleans your floors for you without disrupting your daily activity or sleep. 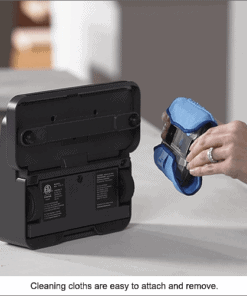 Pause/Resume: Braava retains a map of its cleaning space so you can replace the cleaning cloth mid-cycle. 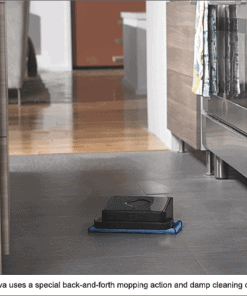 Maintain gleaming hard floors, every day, with help from the Braava 380t Floor Mopping Robot. Smart navigation works like an indoor GPS to help Braava keep track of where it’s been and where it needs to go. Choose from dry sweep or damp mop modes for a beautiful clean that suits your unique needs and home. Braava works great on all hard-surface floors, and at just 3.1″ tall, is specifically designed to fit under most furniture, beds and kickboards. Easy, effortless and whisper quiet – Braava will clean your floors for you without disrupting your daily activities or sleep. Braava’s NorthStar Navigation system works like an indoor GPS, helping Braava keep track of where its been and where it still needs to go. Simply attach a cloth, press the button for your desired mode and Braava gets to work. Then, when Braava is done cleaning, it returns to where it started and powers down – so you always know where to find it. Braava cleans all hard-surface floors including tile, vinyl, hardwood, laminate, and more. Simply choose from two modes – dry sweeping or damp mopping – for the quick surface clean you want. 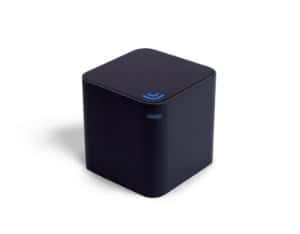 The NorthStar Navigation Cube projects a signal that Braava uses to determine its location. 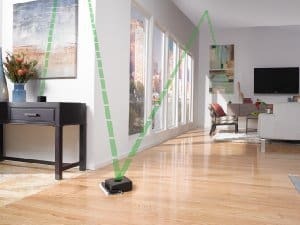 As Braava cleans, it uses this signal to build a map of the area, mapping walls, obstacles and drop-offs as it encounters them. Conveniently recharge Braava in just two hours with the Turbo Charge Cradle. 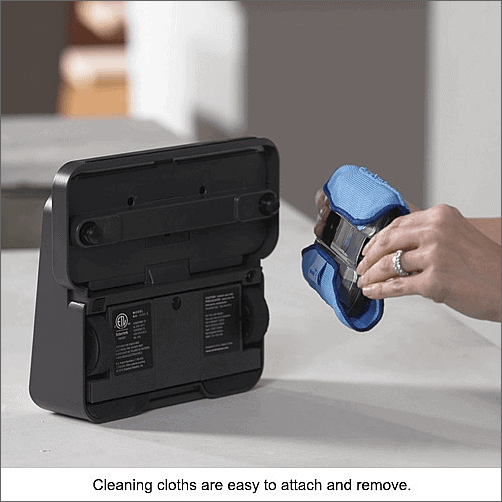 Removable magnetic cleaning pads easily attach and detach from the bottom of the robot for easy cleaning cloth attachment. 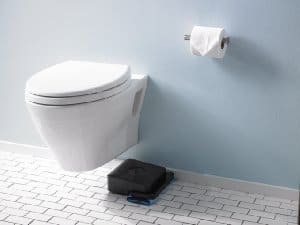 Includes the Pro-Clean Reservoir Pad for damp mopping, and the Multi-Purpose Cleaning Pad for dry sweeping and for use with disposable cleaning cloths. 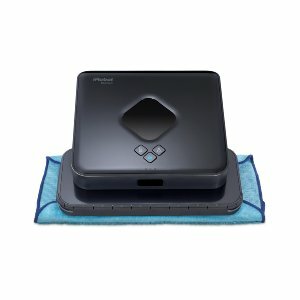 Braava 380t comes with two reusable microfiber cleaning cloths – one white dry sweeping cloth, and one blue damp mopping cloth. These microfiber cloths can be rewashed and reused hundreds of times. Or, use Braava with either dry or damp disposable cleaning cloths, including Swiffer brand. 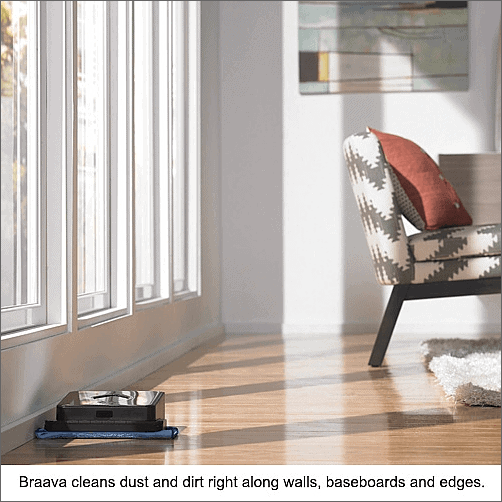 In dry sweep mode, Braava moves in straight lines back and forth to pick up dust, dirt and hair. 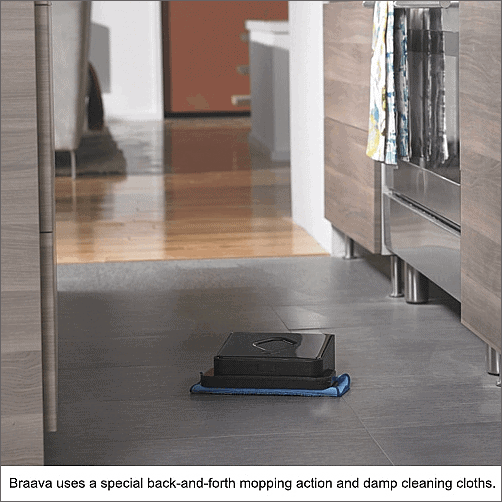 In damp mop mode, Braava uses a special back-and-forth action to pull deeper dirt and grime off your floors. We recommend using mild solutions or just tap water. 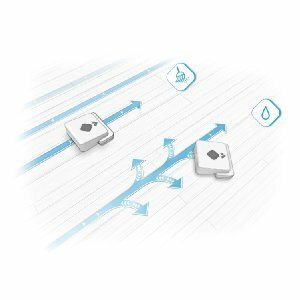 We recommend staying away from harsh cleaners as they can be hard on Braava’s internal parts and soapy solutions that may cause the wheels to slip while cleaning or clog the wick on the Reservoir Pad. Helps me mop the home floor where i can better use my time to rest. Zero sound when activated. Received it and robot working great! I bought the 320 model in US but it is not working anymore, decided to get this and get to know it is better with the Turbo. Works just perfect!